If you are looking for a spa in Orange Park Florida, come check out Natural Healing Day Spa. Massage, facials, waxing, chemical peels, body wraps, body scrubs under the Vichy shower and much more. A relaxing massage using softer techniques and long flowing strokes increase circulation, promote relaxation and relieve joint stiffness. Deeper manipulation and more detailed bodywork is used to focus on consistent pain and muscular tension caused from stress and activity induced soreness. An Incredibly relaxing experience as warm basalt stones are used as an extension of the Therapist’s hands to massage the body and melt away tension. The powerful effects of essential oils joined with a Swedish massage to enhance relaxation and encourage to release toxins. An ancient form of alternative medicine in which a local suction is created on the skin; this mobilizes blood flow in order to promote healing. Share your experience side by side in our couple’s treatment suite. An especially relaxing massage to nurture and relax both the mother and the child. Check out this custom built home! Builders are getting over $100.00 a square foot, so this is a bargain for a custom home. This wide open floor plan has plenty of room to entertain and to relax. The kitchen has beautiful upgraded raised panel cabinets and backsplash. It even has a trash compactor built in. This house has a first floor master suite and an additional bedroom on the first floor. All of the bedrooms are huge and all of them have walk in closets. The bonus room has great built-ins that could make a great studio, office or even a 5th bedroom. Give it a few weeks and the landscaping will really shine. The landscaping is beautiful when in full bloom. A whole house vac system is installed. The garage is even bright and has built in cabinets and a wash tub. This house has it all! Notes: This house has a 3 car garage, 2 first floor bedrooms that would make a perfect nursery or mother-in-law room. It has the potential to have 5 bedrooms the bonus room has a space for a closet along with a linen closet outside of the door. It also has a full house central vac system and a gas fireplace that has never been used. You have access to all of the amenities in Oakleaf Plantation and you are close to NAS Jax, Cecil Field, the Oakleaf Town Center, and the Orange Park Mall. Listing provided by: Ini realty investments, inc.
Disclaimer: information provided by Northeast Florida Multiple Listing Service, Inc. is deemed reliable but not guaranteed. All Rights Reserved. Waterfront paradise awaits…If you have been looking for a waterfront retreat on Black Creek you better act fast on this one. The cozy home is set up with all of the luxuries that one could want in an open floor plan. In the kitchen you will find granite counter tops, stainless appliances and beautiful cabinets that overlook the large living room that has a double sided fireplace that is shared by the master suite. The living room features nice built-ins and vaulted ceiling. The master suite is large and features a nice double head shower and garden bath. The rear deck and covered porch have a great view and it is perfect for entertaining. The back yard is spacious and leads to the nicely positioned boat house and deck on the water. This house even includes a wired generator and a full house central vac system! If you are looking for a house that is in perfect condition, perfect for entertaining and perfect for relaxation this is it. More: This house is located on Black Creek one of the most sought after bodies of water in Florida. It is a great place to live if you like watersports like skiing or wake boarding due to the smooth water conditions. Black creek is also known for great fishing and hunting due to all of the small channels and creeks that feed into Black Creek. Black Creek is located just south of Jacksonville and Orange Park, but north of Palatka and west of St Johns county. You can access the St Johns River, Doctors Lake, Trout River, Ortega River, the Atlantic Ocean and many other bodies of water from Black Creek. Locally there are a few great waterfront restaurants that are a short ride to like Whiteys Fish Camp, Clarks, and Outback Crab Shack. You can also take a ride to the Jacksonville Landing for more restaurants and concerts. You can check out Metropolitan Park and dock there to watch the Jaguar games, or you can even access the Jacksonville Zoo for free if you pull up to the dock. From 220 to 209 south, follow over black creek bridge to new stop light. take first left on the new service road, take left on next service road, follow it to john boy creed rd on right. Check out our latest listings in Orange Park in Oakleaf Plantation, on Doctors Lake, on on Black Creek Florida. We are you best source for Waterfront, Foreclosures, REO’s, or Short Sales in NE Florida! The Seller said it must go! Call me this week for the special offer on this amazing house. You will love all that this Doctors Lake home has to offer. This lake has ocean access and is a great location for many types of water activities from fishing to wakeboarding. You also can access multiple waterfront restaurants from Doctors Lake. Click on this link for more home information and additional photos. Call me directly for the special offer! Get one of the best deals in Clay County! Located near Oakleaf Plantation in the Argyle Forest neighborhood of Olde Sutton Oaks, this well maintained and incredibly clean house is ready for you to move right in. The master bath has recently been remodeled and the new all tile shower is awesome. You will love the open floor plan and the neutral color on the walls. The fenced back yard makes it a great place to raise kids or to let your pet run. 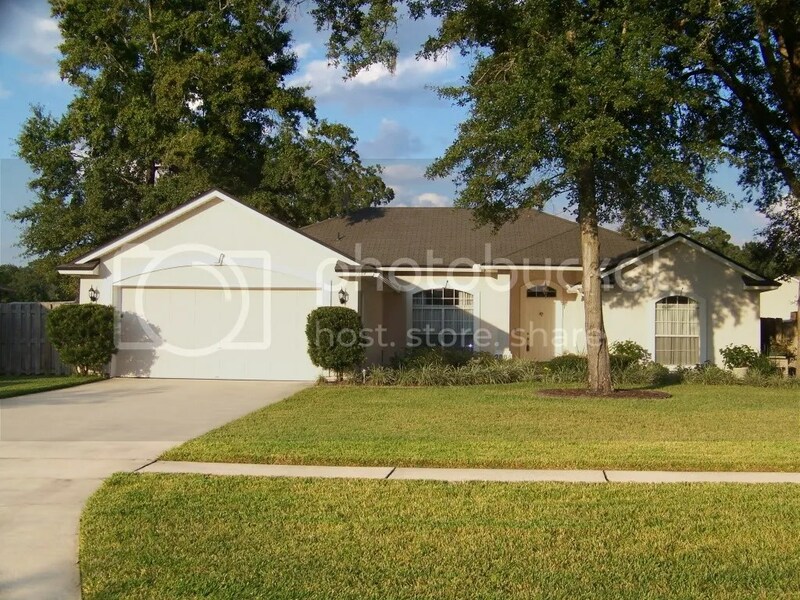 This house will easily pass for FHA or VA financing and it is close to NAS JAX and the Oakleaf Town Center. This is not a short sale and can close quickly, and it is not a foreclosure so it is not currently frozen by the bank… No CDD fees in this neighborhood. Call Mike Schwiebert to schedule a showing today.